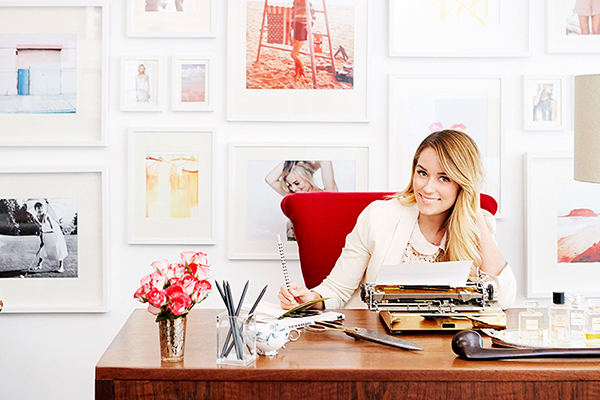 I must say, I’m pretty excited about this month’s Work It theme on LaurenConrad.com! From the time I was in high school, I’ve always been very career focused. Even way back when I was cast on Laguna Beach, I remember having a discussion with my father about how we could turn the opportunity I was given into a career in fashion (which was always my goal). It’s taken a lot of hard work, perseverance, a supportive family and team, and a little luck, but I am so grateful to have the career I have today. The best part of my job is that no day is ever the same. Some days I’m working at a pop-up shop for Paper Crown, and other days I’m testing recipes and crafting for this website. I get to fly to New York to work with my design team for my LC Lauren Conrad collection, and travel around the world to meet with artisan groups for The Little Market. It never gets boring, that’s for sure. So this month, my editorial team and I are going to be giving you some of our best career advice to help you get where you want to be. I’ll be sharing the Smart Girl’s Guide to Networking and my tips on maintaining a work/life balance (which isn’t always easy). We’ll give you 5 ways to stretch at your desk and a list of the best sources to seek out your dream internship. But that’s not all… You can also expect all the fun food, fashion, and crafting blogs you see here every month. And since Easter is this Sunday, we have some adorable egg decorating DIYs coming your way on Thursday. Stay tuned! What do you want to see on the blog this month?